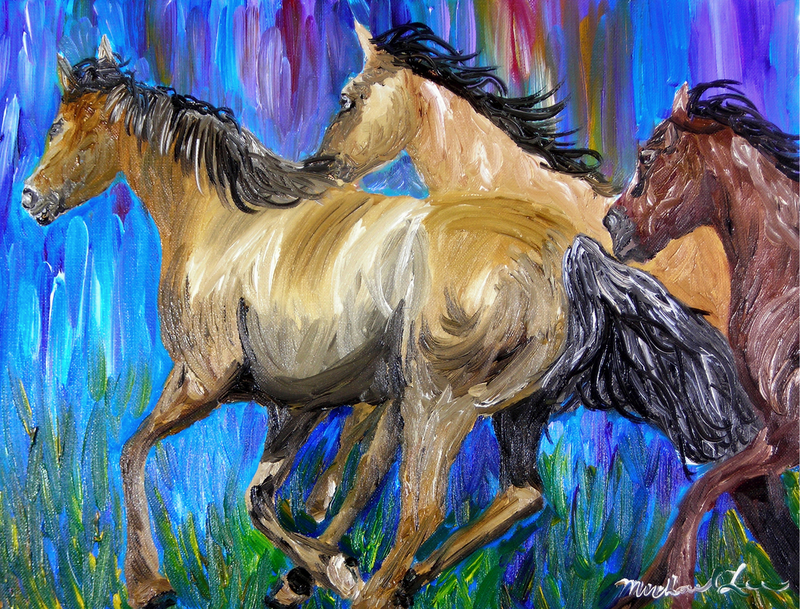 Here are wild horses with a very colorful background. Something different. You can really see the color and brush strokes in this beautiful painting. 5" x 6.625"6" x 7.875"7" x 9.25"8" x 10.5"9" x 11.875"12" x 15.625"